BAKERSFIELD, Calif. — It's a murder that the Kern County community will never forget. 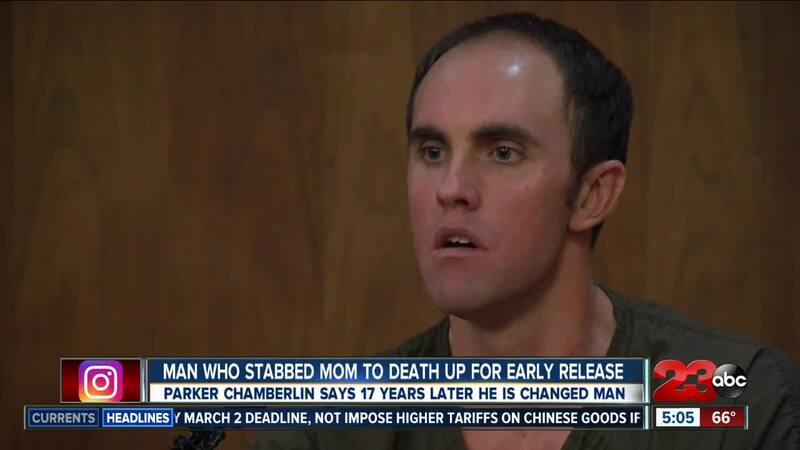 In July of 2001, then 15-year-old Parker Chamberlin stabbed his mother, Tori Knapp to death in their Bakersfield home. 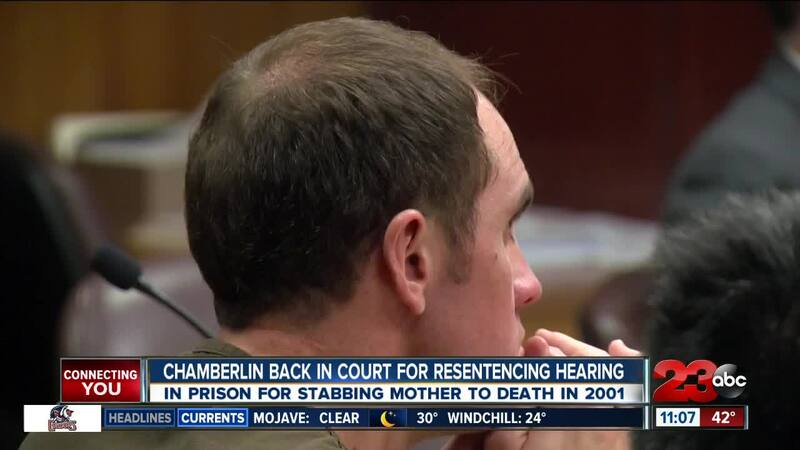 "I'm ashamed to say that at that time in my life," said Chamberlin. "I believed that my life would be better if my mom was dead." Chamberlin says at the time his mother refused to give him an allowance as well as made cuts to their overall finances. “That changed the trajectory of my life," said Chamberlin as he sobbed. "I have fallen so deep into the obis of despair." He added that is a changed man under the grace of God. A fellow colleague even spoke on his behalf. “I would describe him as very kind, hardworking, dedicated, and a man of integrity," said Camille Pinto with the Mental Health Department. But those close to the beloved teacher as well as Chamberlin told the court that he is manipulative and should not be released. “He is all of those things and yet when something stood in the way of what he wanted, he committed that crime," said Deborah Hankins, a family friend. "I mean what’s standing in the way in prison for him to even commit a crime right now." “I love him, I forgive him, but he needs to pay the consequences for a bad choice," said family friend, Jennifer Kritch. “We are not here for him being let out early, we believe he needs to serve his term," said Tori's father, Richard Moore. But even then, family and friends say nothing can heal the loss of Tori Knapp. And according to Chamberlin, he knows that. “I know the magnitude and the impact," said Chamberin. "The suffering and the pain that I caused and I would do anything to change that and do anything to take it back… I can’t change it." Wednesday, February 13, one final person took the stand. Donald Krueger, who was the lead investigator in the 2001 case, described the bloody scene he witnessed, saying of the about 30 cases he investigated while with the Bakersfield Police Department, this was in the top two for most violent. Judge Bush said Wednesday he was not ready to make a decision and does not know what he will do. Both sides will submit written statements with final arguments and recommendations. March 13, Judge Bush will announce his final decision at 1:30 p.m. in court.